Fast food gets a bad rep but sometimes quick is exactly what you need and these five express tapas are guaranteed to hit the spot! 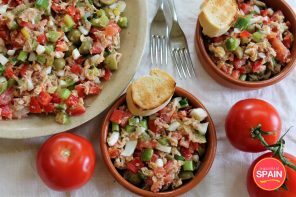 Whether you’re looking to add some extra dishes to a spread of tapas or needing to rustle something up to satisfy growling stomachs before dinner, look no further than these ridiculously simple, yet moreish recipes! Brush the slices of baguette with a little olive oil. Place on a baking sheet and toast in the oven for a few minutes on each side. Fry the slices of jamón in a saucepan with a touch of olive oil until perfectly crispy. Remove the jamón from the pan and then add another glug of olive oil. Fry the quails’ eggs until the white is set. 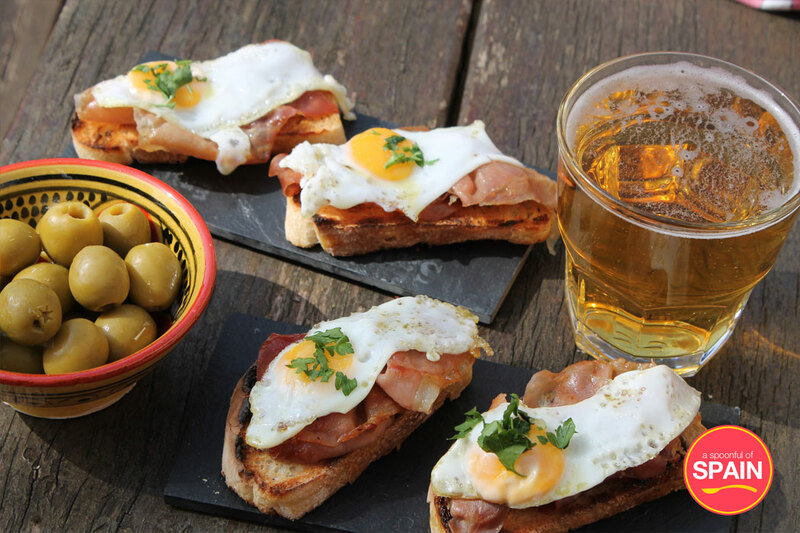 Top each slice of bread with a piece of jamón and a quails’ egg and season with salt. 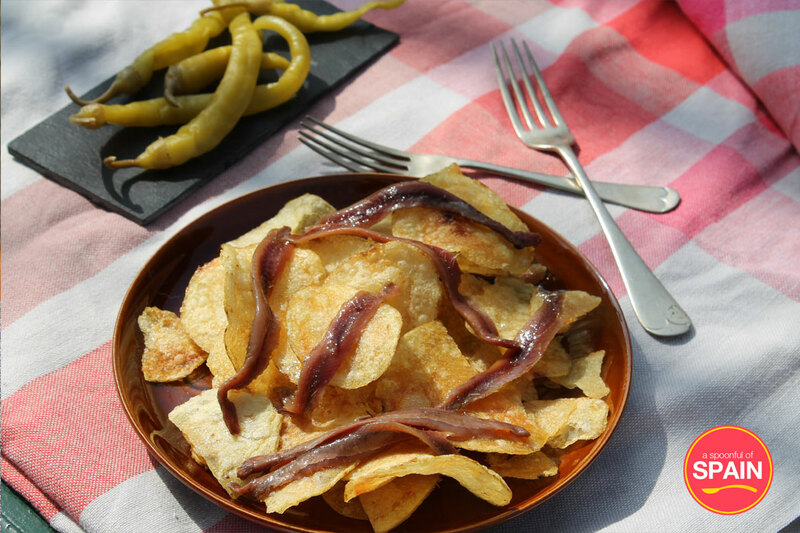 Forget minutes, this tapa of crisps topped with anchovies takes literally seconds to prepare! If anchovies aren’t your thing, try top-quality tinned sardines, tuna steaks or mussels instead. Pour the crisps onto a large plate. Top with anchovies and drizzle with dash of oil from the tin. 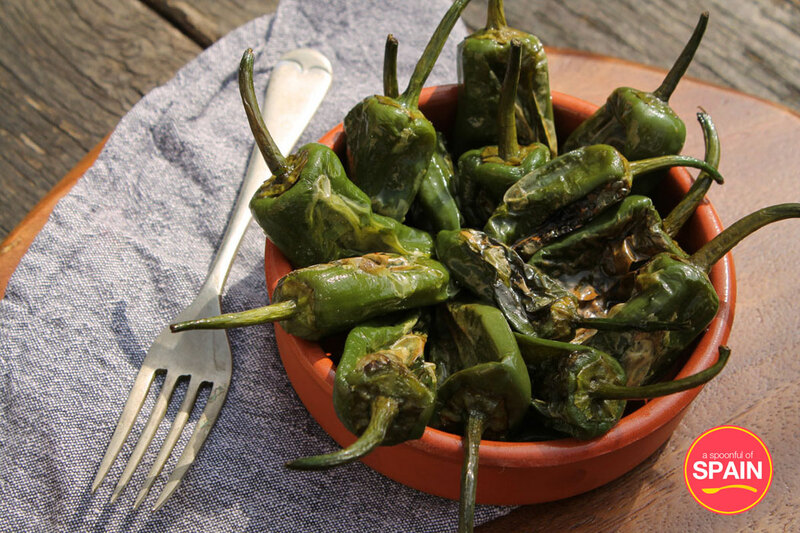 Pimientos de padron are the Russian Roulette of tapas. Some are spicy, some aren’t, and there’s no way of guessing without trying! Eat each pepper in one go and wait to find out if you’ve been lucky or not! Pour a few tablespoons of olive oil into a large saucepan. Heat on a high heat until hot and then add the whole peppers. Cook for around 10 minutes, stirring occasionally, until the skin is blistered and the pepper is cooked through. Serve sprinkled with coarse salt. 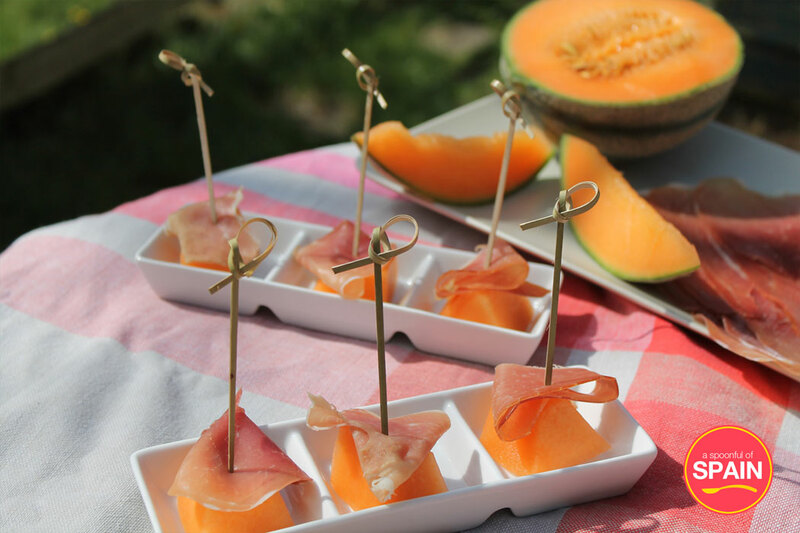 In this tapa, light juicy bites of melon are offset by salty, rich jamón. 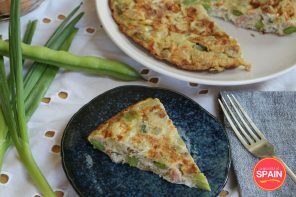 The key to this ridiculously simply dish is using top-quality ingredients. Make sure your melon is perfectly ripe (it should smell sweet and fragrant) and buy the best jamón you can afford. Peel the melon and cut it into large chunks. Top each chunk with a small piece of jamón. Secure with a toothpick if desired. 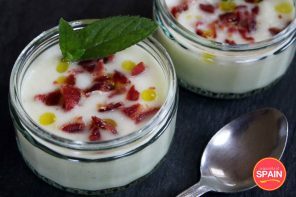 Have you tried any of these recipes before? What’s your favourite fast tapas recipe? Let us know in the comments below.